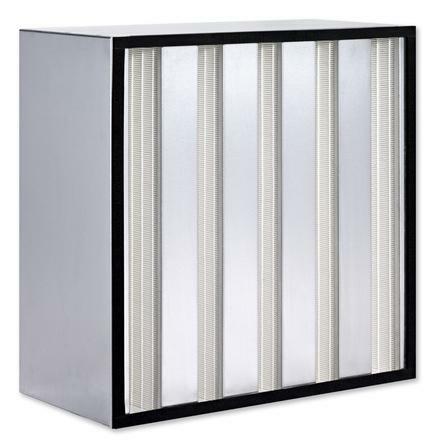 Fine dust filter: Prefilter or final filter for the separation of fine dust in ventilation systems. Mini Pleat filter cells MFC for the separation of fine dust and suspended particles such as aerosols, toxic dusts, viruses and bacteria from the supply and extract air in ventilation systems. Use as fine dust filters, i.e. as prefilters or final filters in ventilation systems; or as particulate filters, i.e. main or final filters for the most critical requirements of air cleanliness and sterility in areas such as industry, research, medicine, pharmaceuticals, and nuclear engineering. Compact depth construction, suitable for systems with high volume flow rates and a requirement for long filter life. Filter medium is made of high-quality, moisture-resistant glass fibre papers, with spacers. Low initial differential pressure due to ideal pleat position and largest possible filter area. 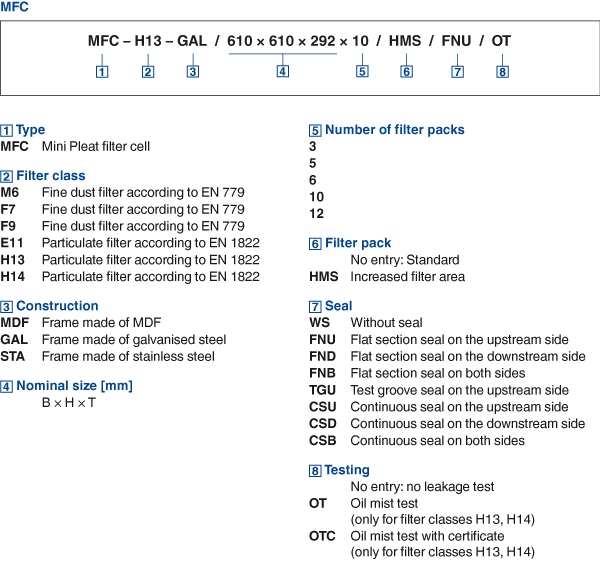 Mini Pleat filter cells are available in all commercial sizes, filter classes M6, F7, F9, E11, H13, H14. As standard, Mini Pleat filter cells are fitted with a perimeter flat section seal on the upstream side. Some constructions are available with an optional foamed continuous seal on one or both sides, with a test groove seal on the upstream side. 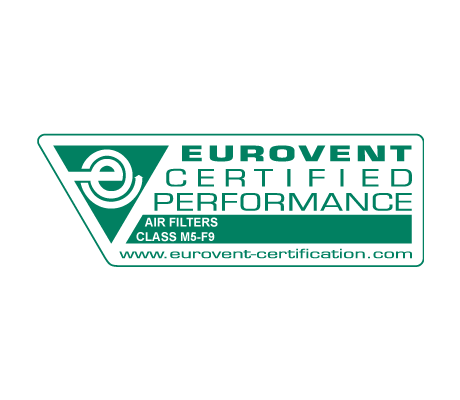 Mini Pleat filter cells used as fine dust filters are certified by Eurovent.